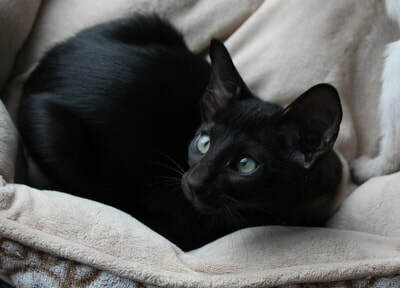 Vindex Black Lace has now found her forever home. 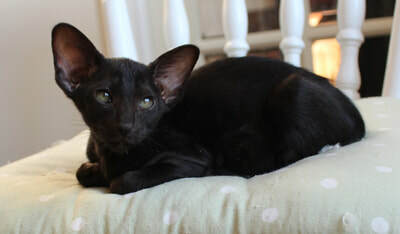 This is Vindex Black Lace, the last of Darcie and Dante's litter. She is affectionate, playful and also very nosey! 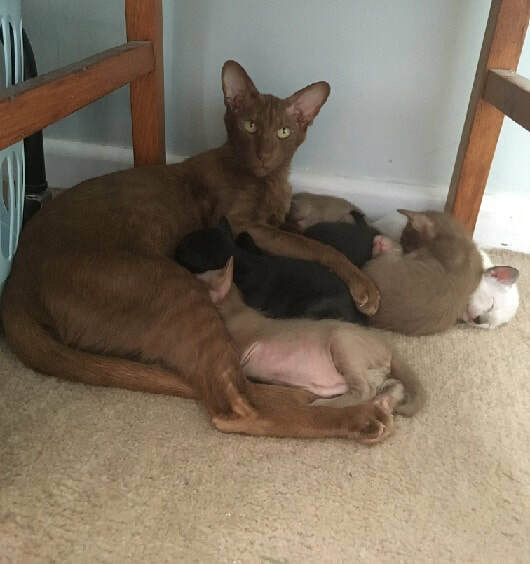 She has the younger kittens to play with at the moment but is looking forward to exciting new adventures with a new family. 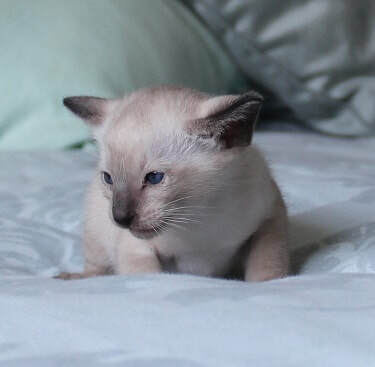 17th September 2018. 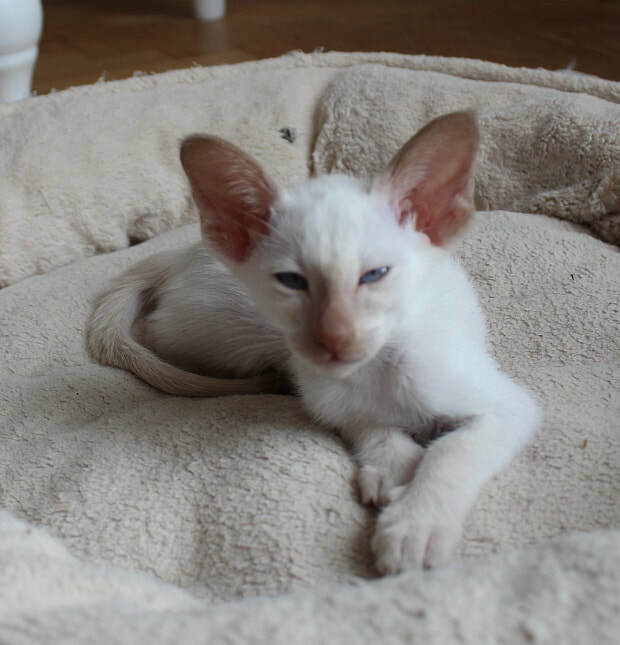 Lola's kittens are now 10 weeks old and are all booked. 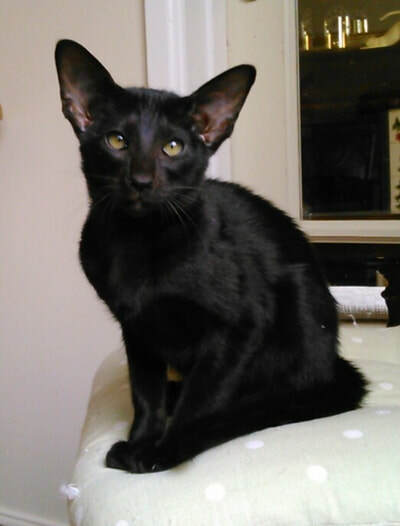 The little black oriental girl will be staying with us and will become our new breeding queen. 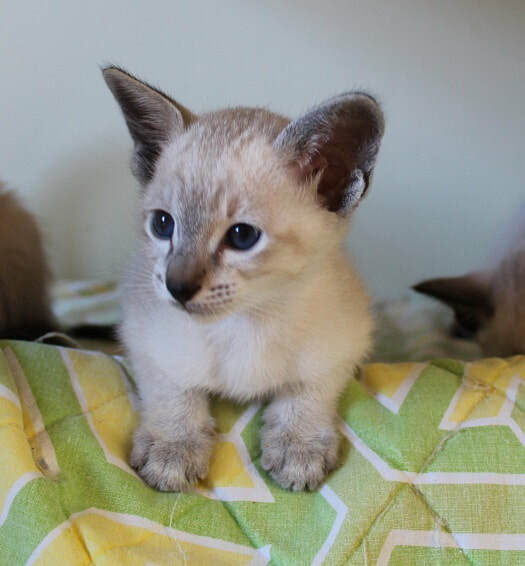 We have named her Luna. 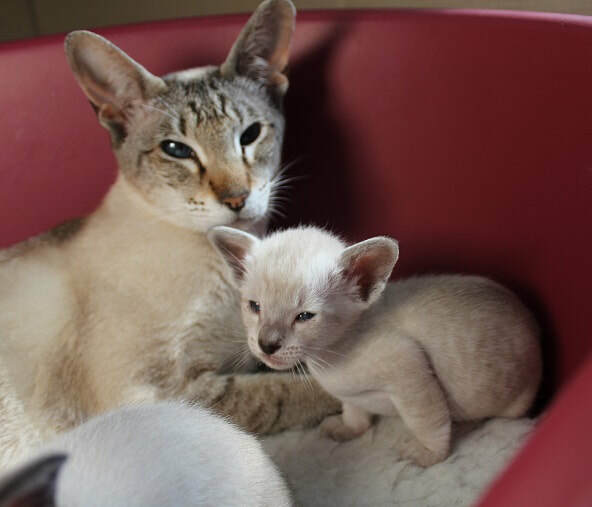 Her mother, Lola, will be enjoying a well earned retirement. 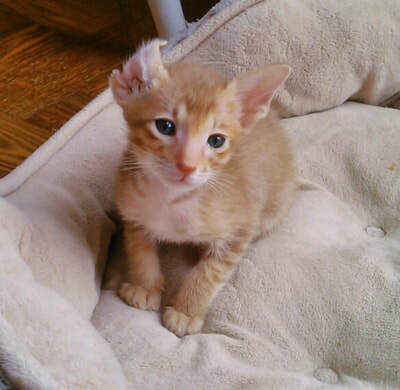 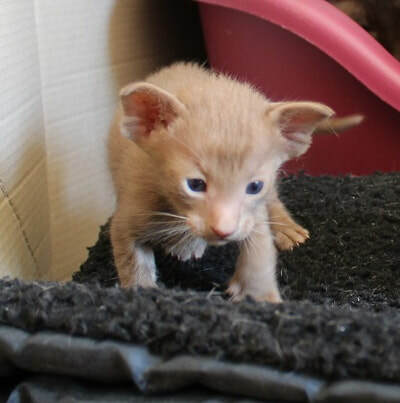 DORA'S kittens have now left for their new forever homes, and Vindex Domino will be leaving soon. 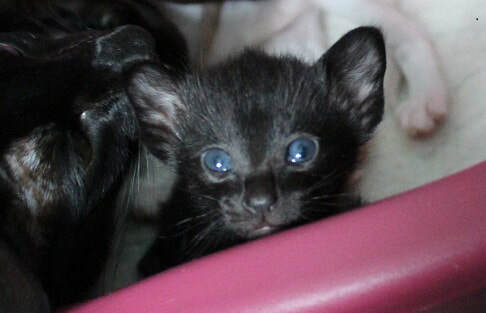 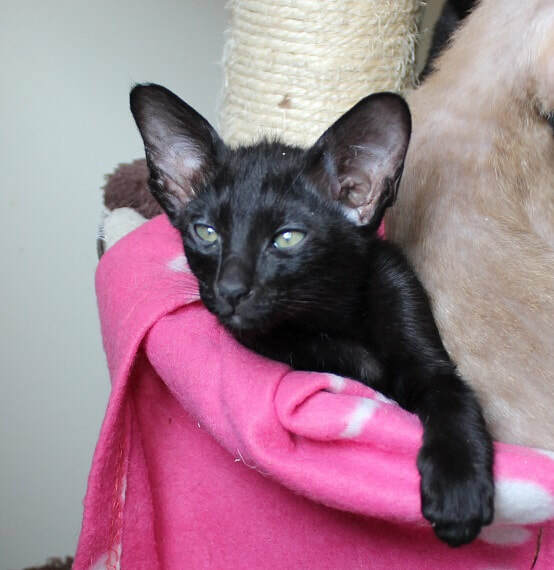 DARCIE'S kittens are all booked, except for the two oriental black girls. They will all have their second jabs this week and then be ready to move on to new adventures. 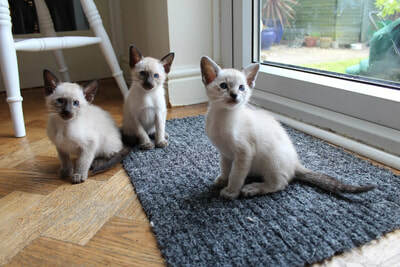 LOLA'S kittens have moved down to the kitchen and, at the age of just 7 weeks, have become expert climbers and also have enormous appetites! 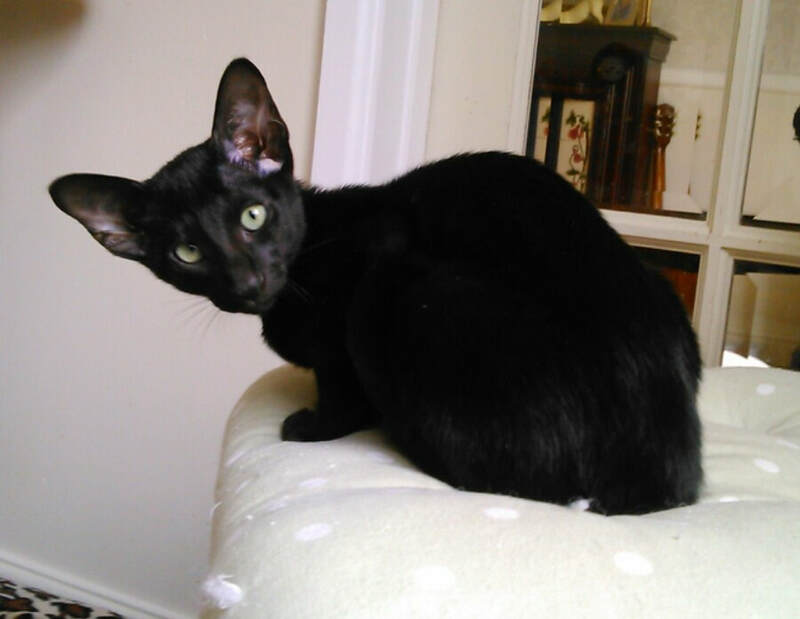 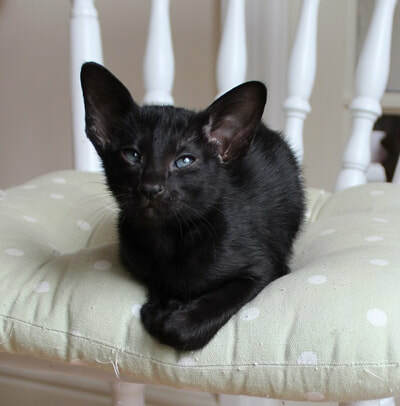 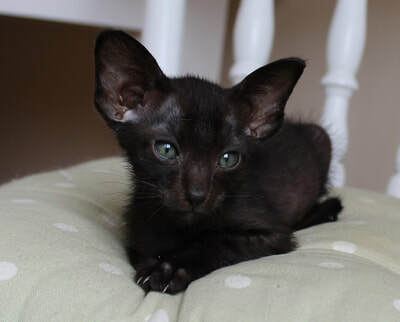 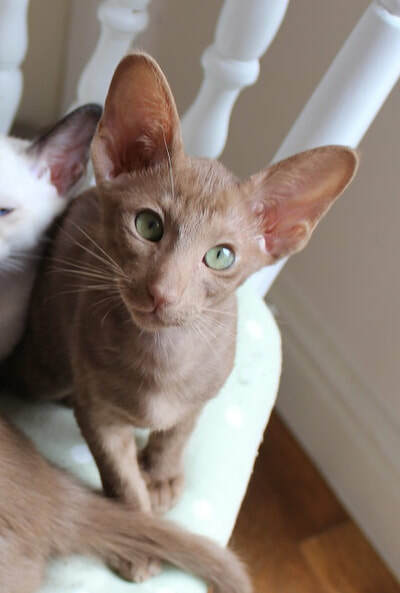 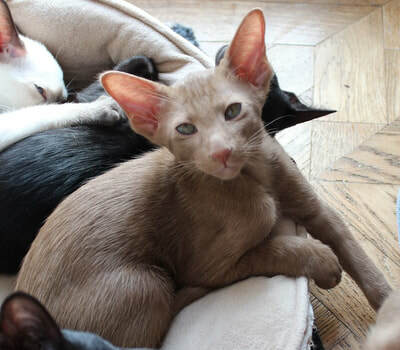 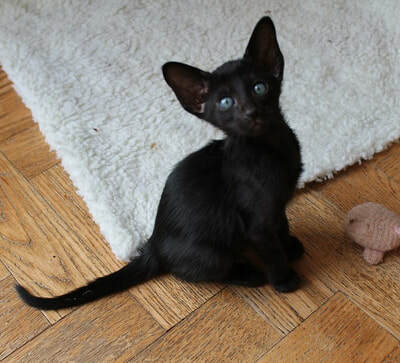 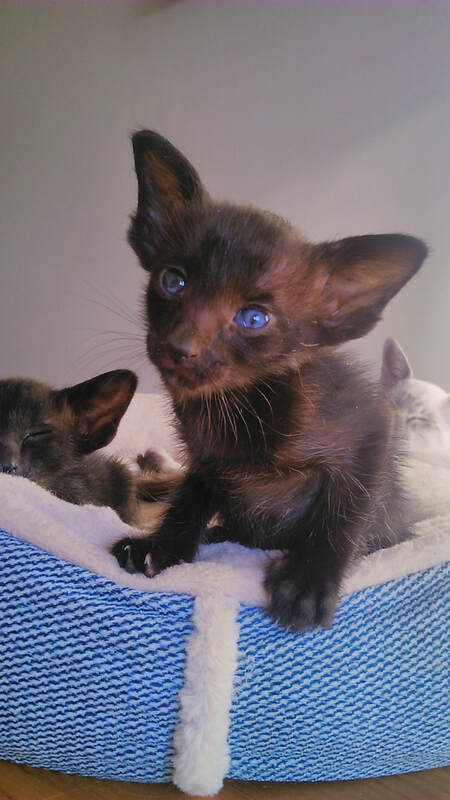 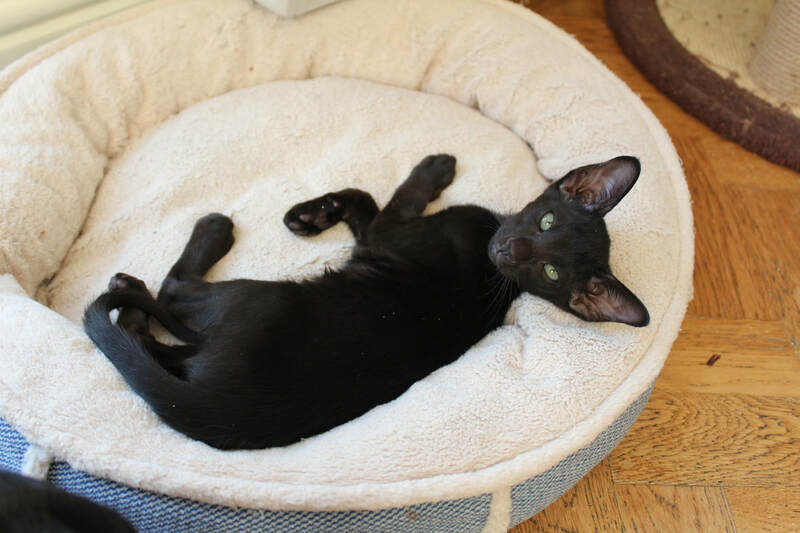 DORA'S KITTENS are now 10 weeks old and are all booked except for one black oriental boy. 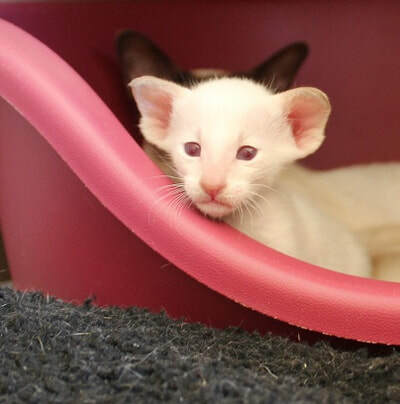 They have had their primary innoculations and worming, and seemed to enjoy their trip to the vet. 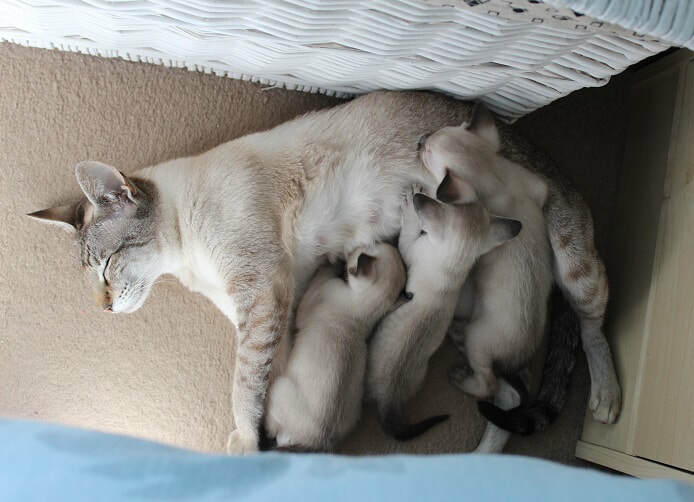 They spend their days playing with DARCIE'S KITTENS who are now 7 weeks old. 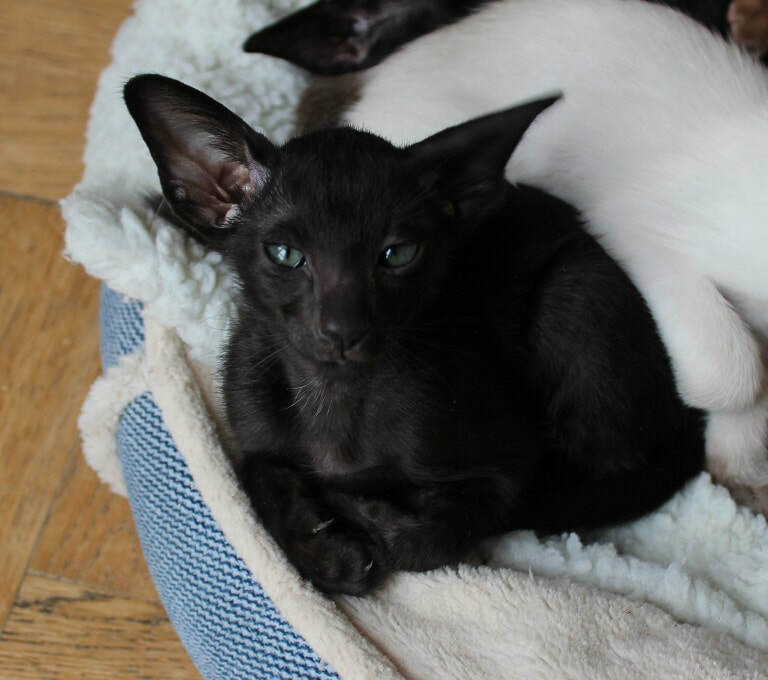 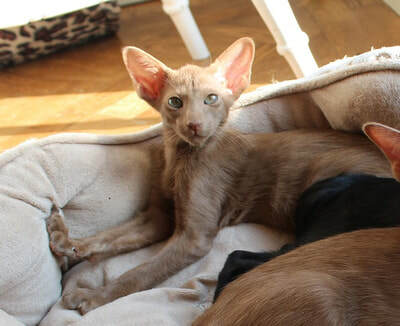 Two black oriental girls are still available from this litter. LOLA'S KITTENS are 3 weeks old and growing fast. 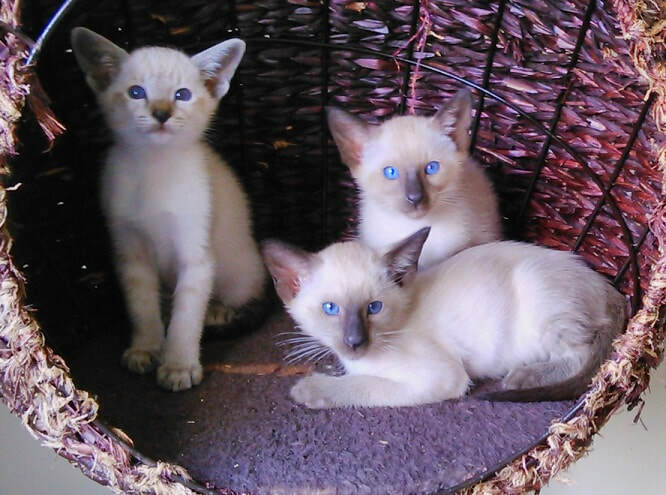 They are almost ready to start coming out of their basket. We have propective owners coming to visit them when they are ready, (over the age of 6 weeks). 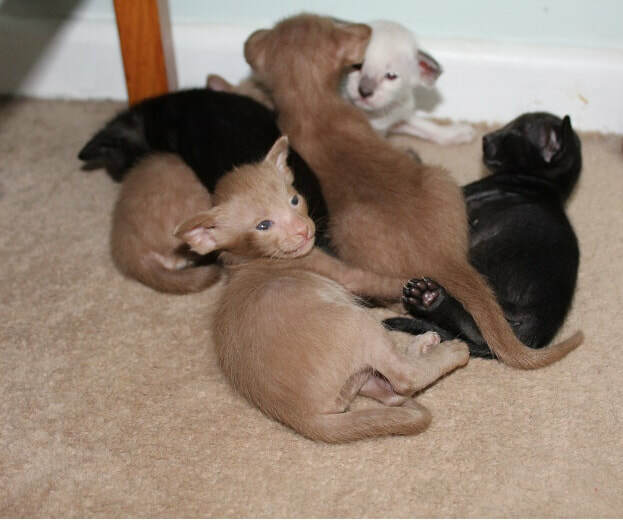 All together for the last time before Podo and Top Gun leave for their new homes. 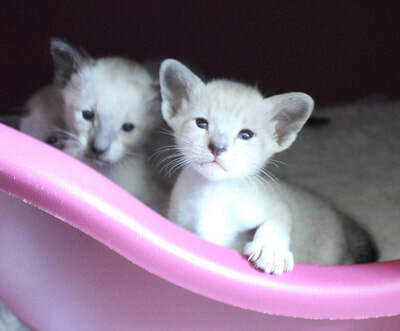 Darcies kittens are nearly 3 weeks old. Mum has decided to move them out of the basket and they have taken up residence under a chair! 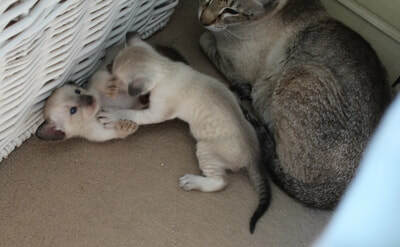 This has made it much easier for them to run away from mum! 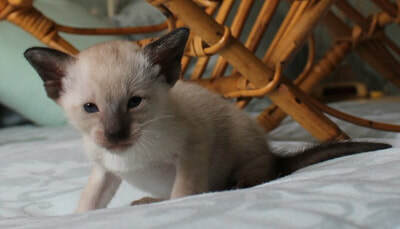 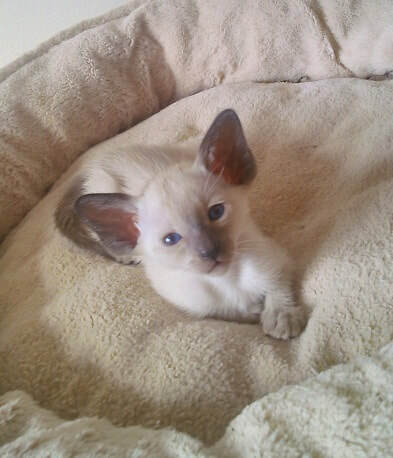 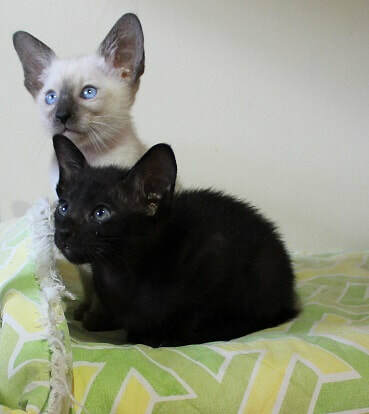 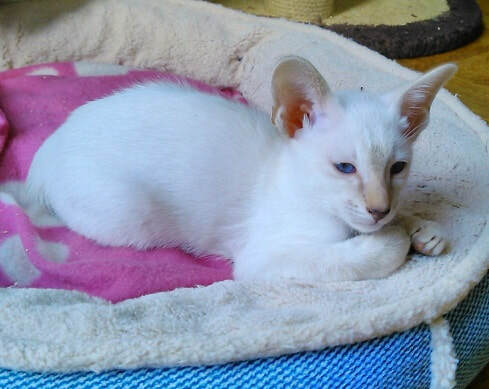 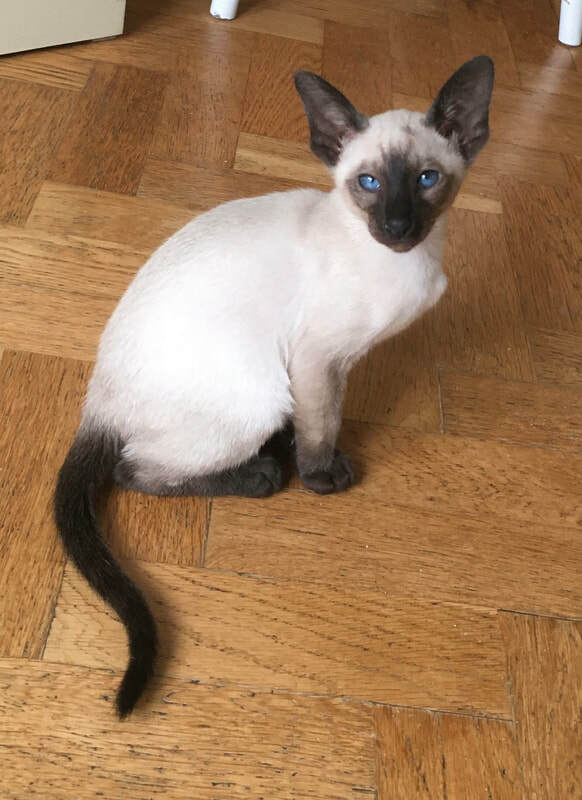 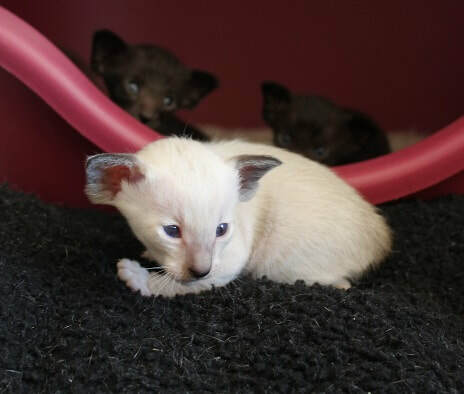 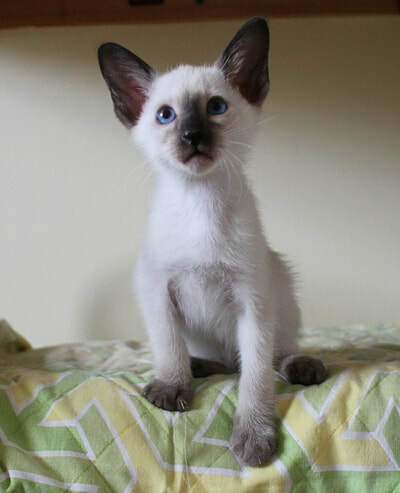 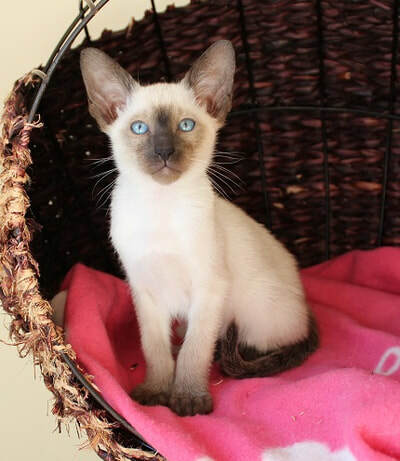 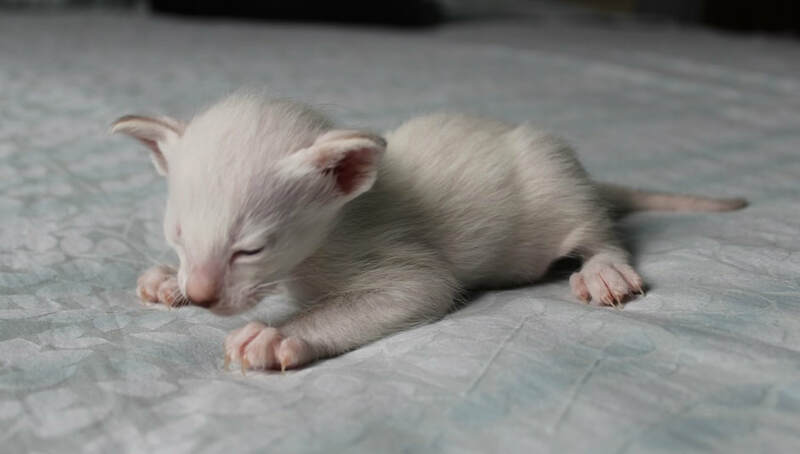 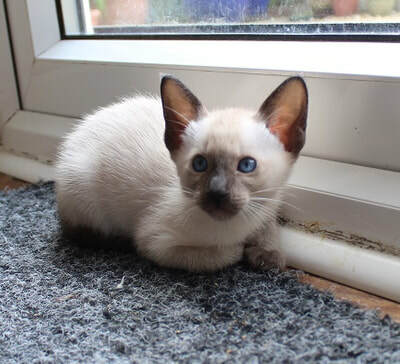 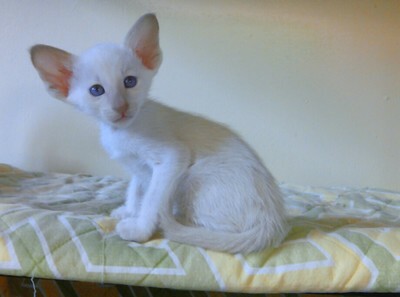 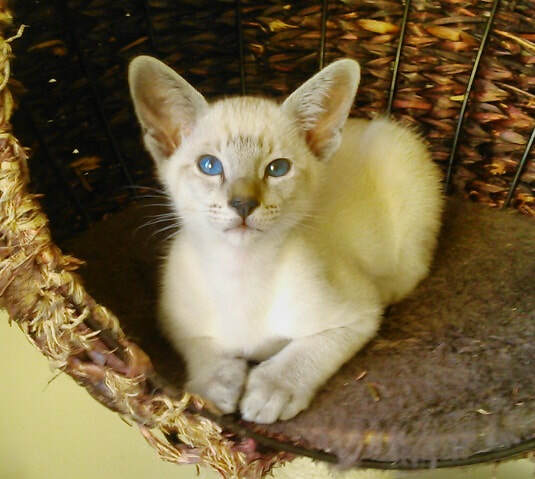 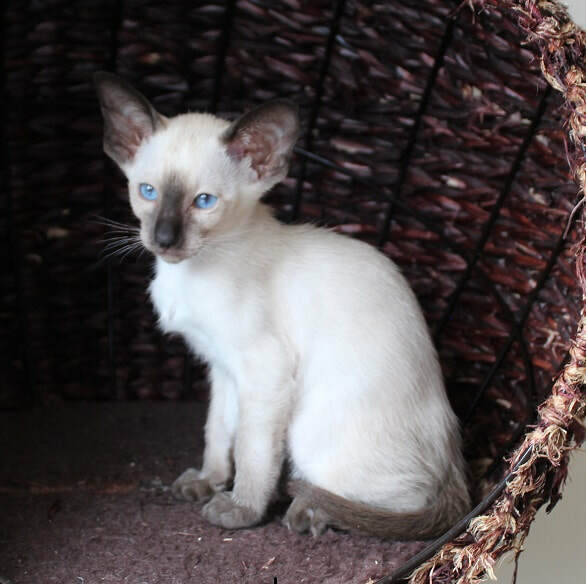 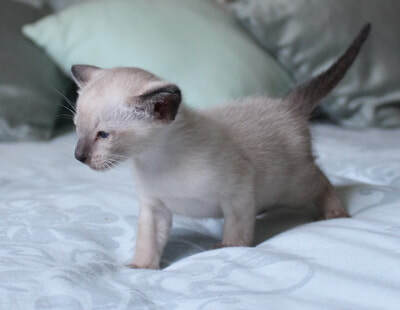 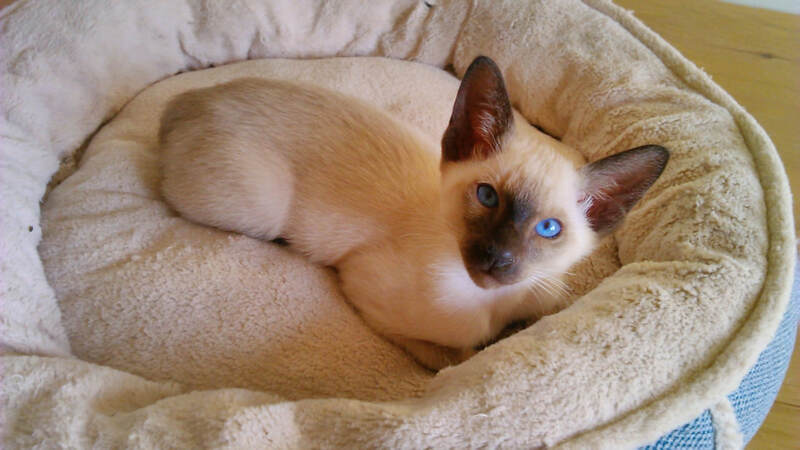 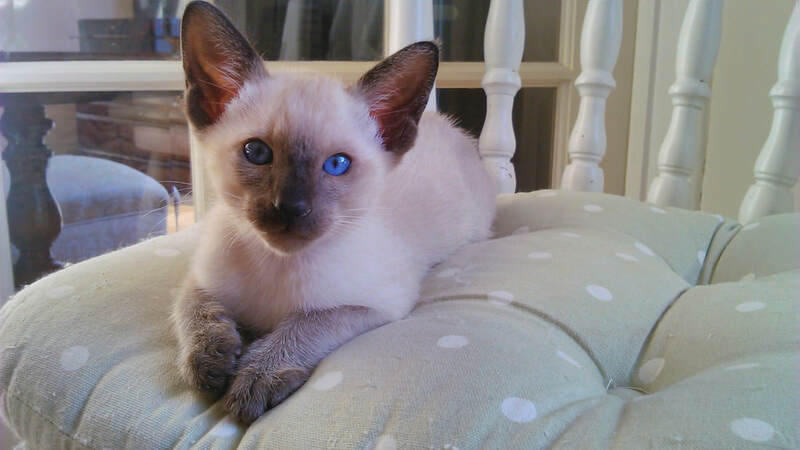 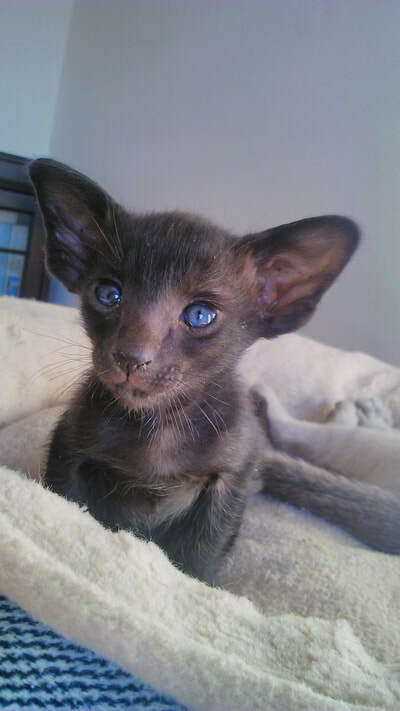 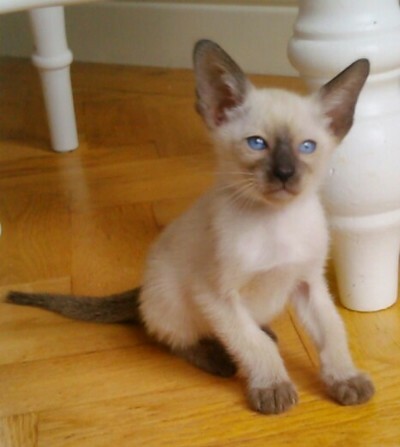 Here are the latest pictures: The little siamese boy has been booked. 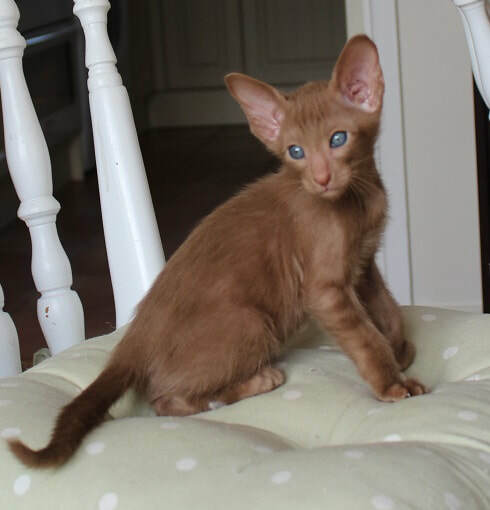 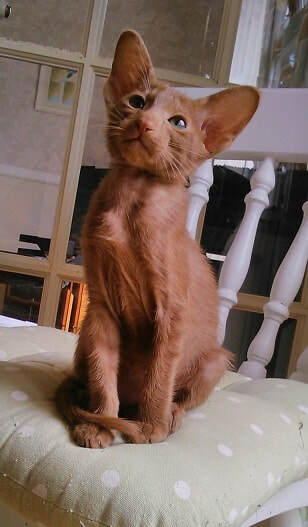 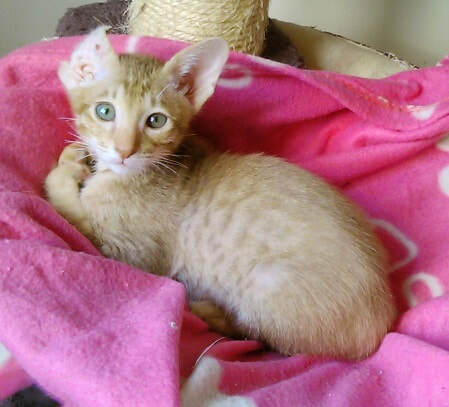 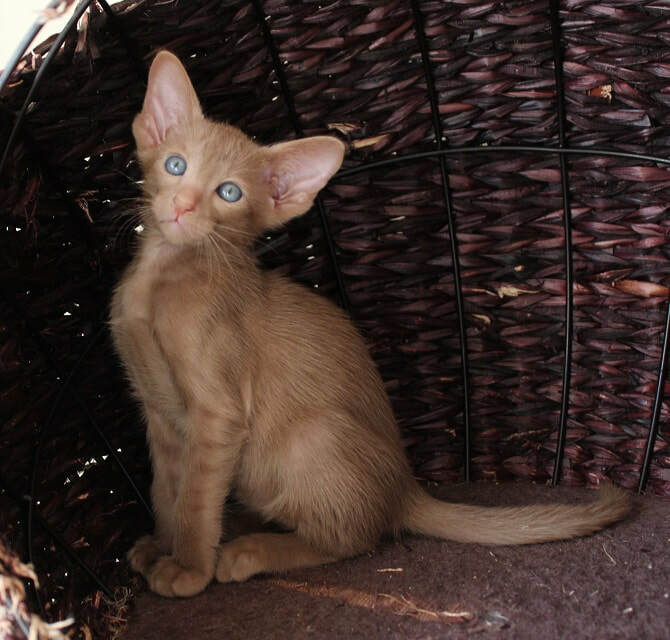 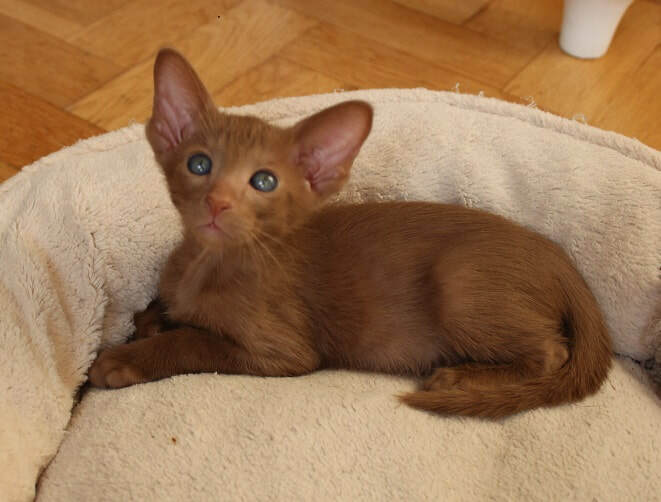 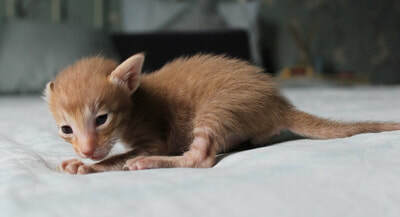 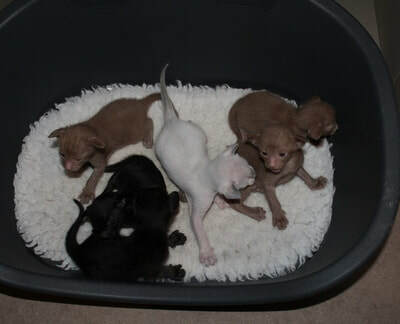 The cinnamon girl, 2 cinnamon boys and 2 oriental black girls are available. Dora's kittens are three weeks old and today they all ventured outside the basket for the first time, under mum's watchful eye. 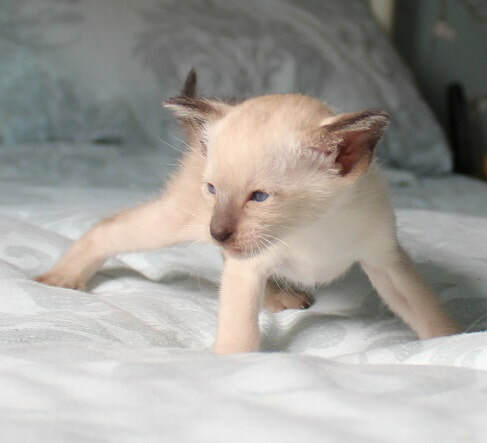 Now the fun begins! 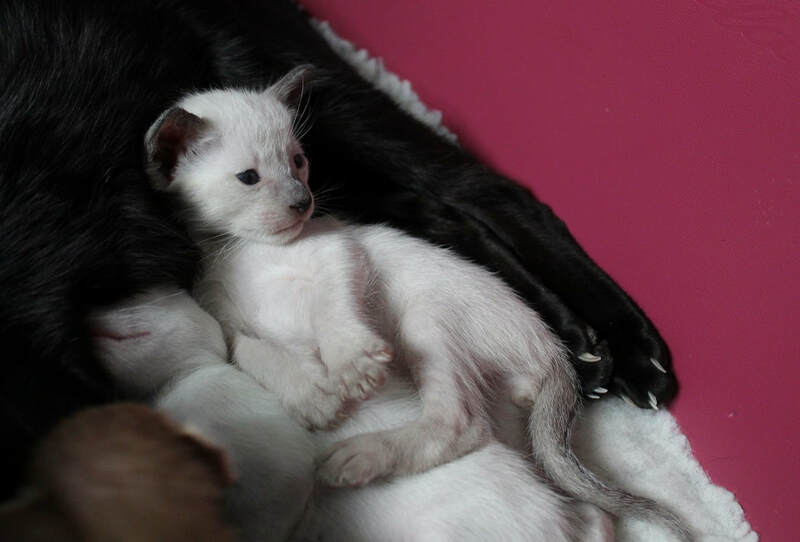 Rubies kittens are 7 weeks old now. They are litter trained, eating well and are quite independant. They have received their first visitors and were not at all worried. 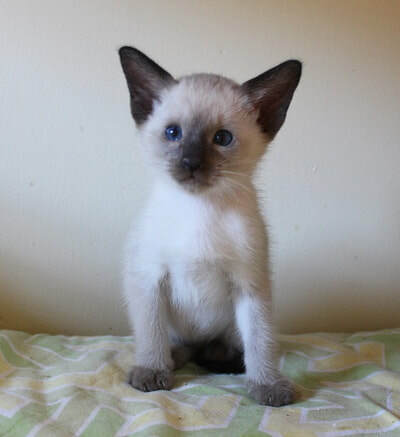 All kittens are now booked. The little girl will be staying with us and will hopefully become a new breeding queen, as she is unrelated to both Leo and Dante, our stud boys. 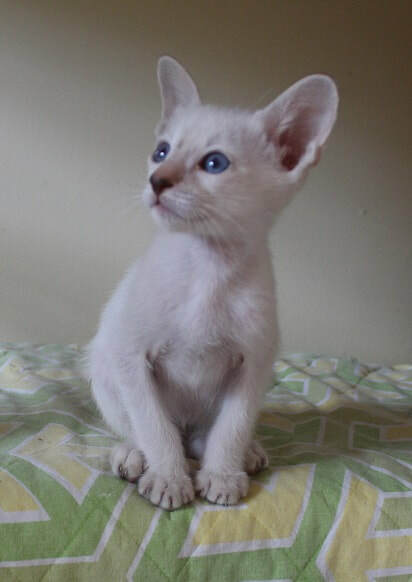 She will be called Vindex Alexa - Lexi for short.